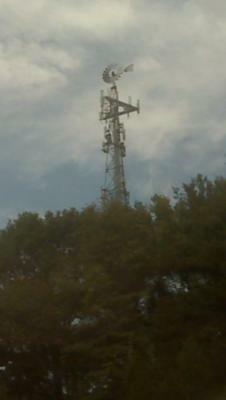 Multi-carrier lattice cell tower with a faux windmill on top in New Jersey. Could've fooled me. This is a popular stealth design that is gaining popularity in high-traffic rural settings. 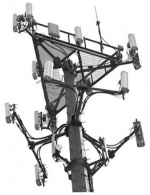 Tower Genius is a NJ-based telecommunications consulting firm providing assistance to landlords and property owners requiring cell site leasing services. 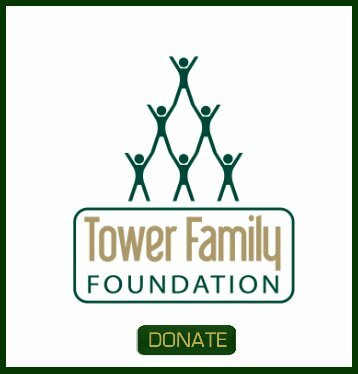 I hope Santa brings me a new iPhone for Xmas this year or perhaps a new Canon digital camera so I can post better quality cell tower pictures on this site. 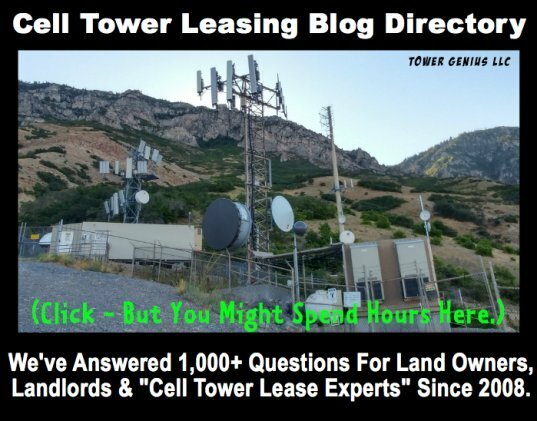 Tower Genius can help you if you are a landowner and have been contacted to lease space in New Jersey or elsewhere in the USA to a cellular carrier or one of the cell tower companies.